Next I will be working on a comissioned piece. 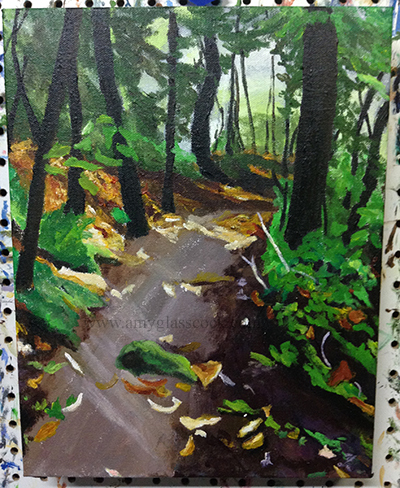 I am going to be making 3 paintings of the Appalachian Trail! Here are my rough sketches of the paintings that I will be starting soon! 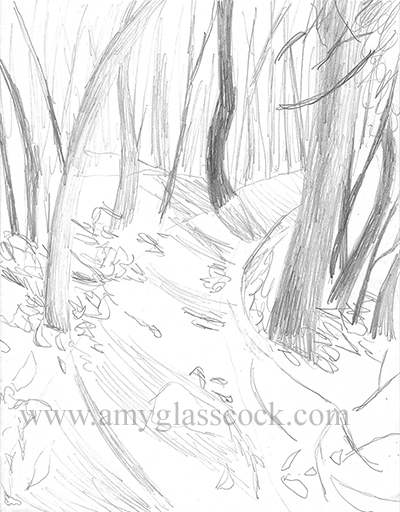 Starting to block in the main shapes of the trail. Filled in more areas. Started adding leaves. 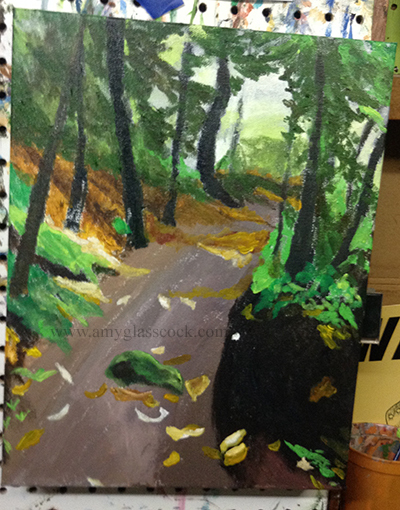 I worked on the leaves and colors in the background. A lot of mixing greens! 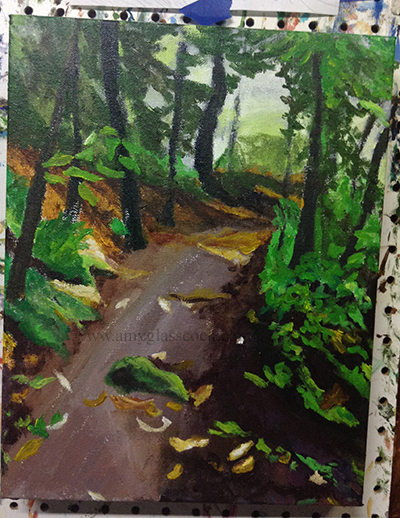 I added a bunch of leaves on the right side. 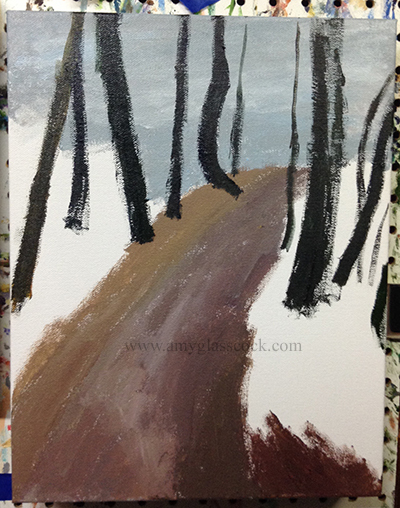 I also added some purpley browns to the edges of the trail. 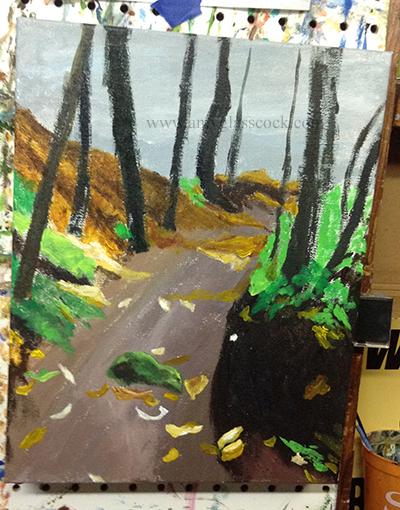 I made the trees darker and also started working on more details along the trail. I am just about finished with this one! 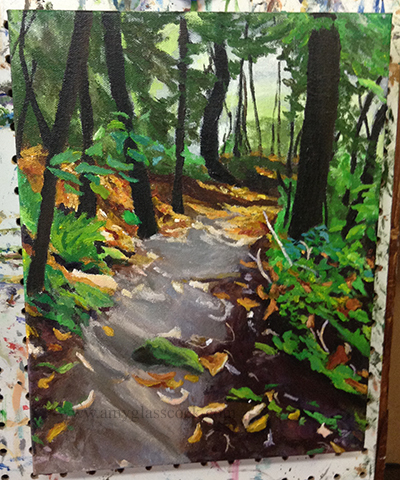 I added a lot of details on the trail and on the leaves on the right side today.